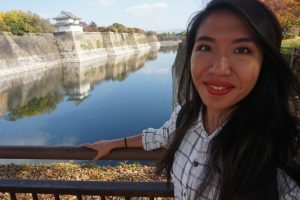 I was blog walking at an Indonesian blogger named Guratan Kaki when I found a post about the fearless Indonesian women who likes to travel solo. 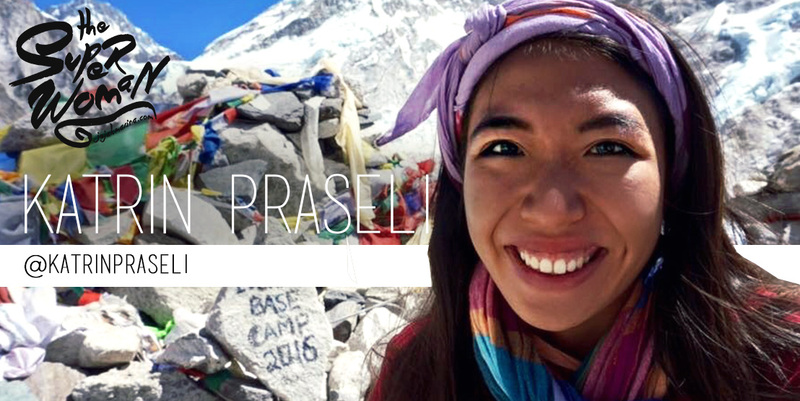 Katrin Praseli was one of the brave ladies who went to Nepal by herself. And I thought… Geez.. I gotta contact her! So introducing the Superwoman of April 2017, Katrin Praseli. 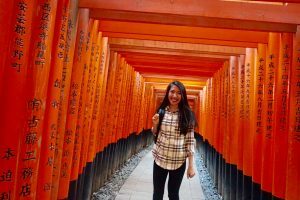 I am so happy that she would like to share her stories and tips for any solo female traveller wannabe. Hope it can inspire you ladies! I just wanted to go visit my friends. Had I gone with a boyfriend or with a friend, I wouldn’t have free accommodation. Simple as that. I love that I can experience the world through me, not through anyone else. Along the way you realise something about yourself, you realise that there are more valuable things in life than just getting the next pay check. I realise how blessed and how fortunate and most importantly you learn something new about yourself every time you travel. There’s nothing I really hate about traveling alone, but, one thing that I will need to get used to is to be more vigilant. I mean, you have to be vigilant in any situation and any where, not just when you’re traveling, but when you are traveling you need to be extra careful, extra vigilant and I don’t like that… I am a clumsy person in general, so, to have to pay attention to my belongings (passport, etc) stresses me out quite a bit! All my fellow solo travellers and adventurers. Iyos, he has his own blog guratankaki.com , we went to Uni together for 4 years and he is one of my inspiration. I want to be more bold like him. 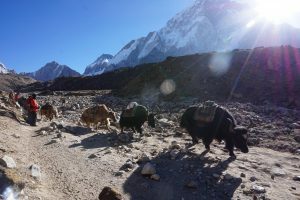 The people and of course…Everest Base Camp. The people are very friendly. This is saying a lot because I’m an Indonesian and I think we are the friendliest people. BUT people in Nepal, man… they don’t chase tourists! If you don’t want to buy anything, they will leave you alone. They won’t ask over and over and over again. Very good for solo travellers. For first time traveler, you have to know what you like, do you like big cities? do you like nature? beaches? mountains? Once you’ve figured it out, then you can make a decision. For example, if you like cities, Osaka, and Tokyo Japan would be my recommendation. It was so easy to get around there and the food is just amazing. Just know what you want to see, so that you can get the most out of your trip. Making new friends. 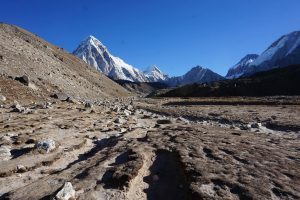 Not really quirky but its the thing I love to do most…On my way to the Everest Basecamp, I’ve met amazing people along the way. Most of them are solo travellers like myself. They were amazing. When I think about the trip, I don’t think I remembered what the Basecamp looked like (I mean of course I do), I remembered meeting Becky, the long distance truck driver from London, I remembered Sujesh, an Indian doctor from South Africa, who in the middle of the night the day before we reached base camp, woke me up because he was out of oxygen, and I didn’t know what to do as I wasn’t the doctor! But he was fine and we reached the base camp at the same time the next day. I remembered meeting a nice couple from Washington, Seattle, NOT DC Washington, who sold their house to travel around the world for 1.5 years, Cindy, who has the best job in the world, she’s a travel writer. She got paid to travel! Those are the things I remembered and will always treasure and I can’t wait to make some more. Just do it! You have got nothing to lose. It depends on you, really. For me, I travel for myself and myself only, so I don’t care about visiting those recommended attractions that people listed on Facebook, etc. In saying that, there is nothing wrong in doing extensive research, maybe I’m just lazy! BUT…Always make sure that you purchase Travel Insurance. I normally use Travel Insurance Direct. Its like 100 something dollars extra, but, if something (knock on wood) did happen and you have to go to a hospital, you’ll be glad you have it. “We travel not to escape life, but for life not to escape us” – Anonymous . Katrin is a twenty something woman who has a passion for … travel, makeup, and languages. 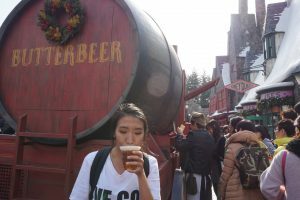 She has been teaching in Australia for almost four years basically right after she graduated from her Master Degree in 2012. 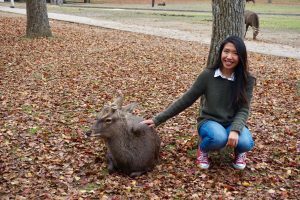 Through her job, she managed to find some time to travel. Katrin usually travels 2-3 times per year. Last year was the most she’s ever traveled, 5 times (3 international travel and 2 domestic travel-around Australia). Katrin hopes to inspire young women out there who would love to travel by themselves. Hopefully through her stories, more women would be more keen to explore the world and see the world through a different perspective, because that’s what travelling is all about. Wah..keren blognya sudah go internasional. Very inspiring interview and I agree that Nepal is a lovbely country and excellent for solo female travellers. I did the Gokyo trek and it was wonderful. Thanks! Glad you enjoyed it and hope it can inspire you too! You should try! Solo travel can change the way you look at the world. Thanks for reading! Thanks for the interview and post! I’m always happy to hear others stories of how they travel, why they travel and what inspires them. Meeting people is one great way of getting doses of inspiration. Also a great way to hear about this lovely world and the perspective of others. Thanks for this series! Hey Mark! You are welcome.. it’s good to share other inspirational story from other point of view.